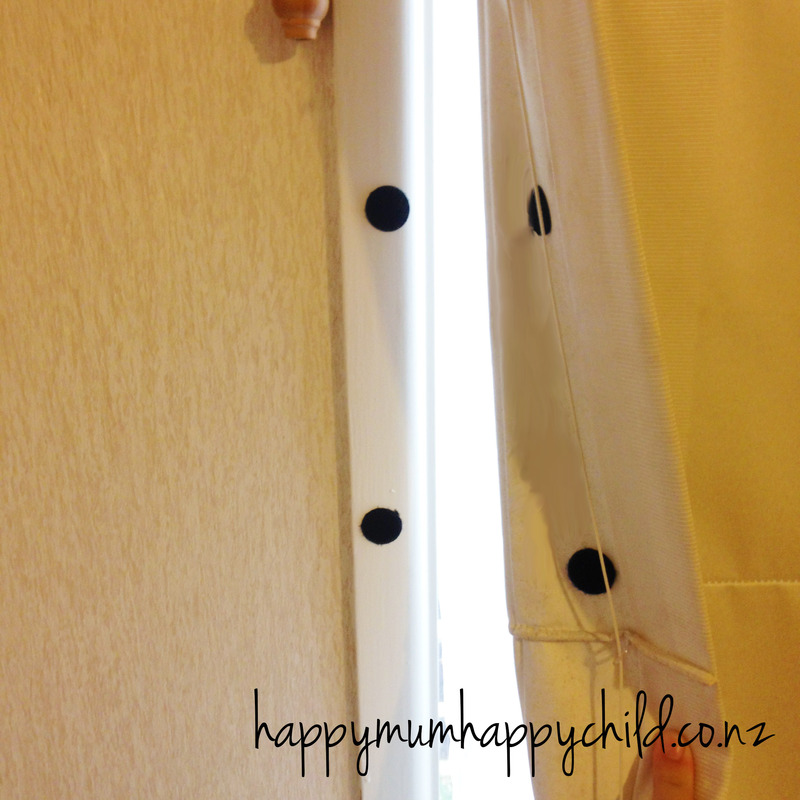 Using one half of the velcro sticker on the curtains, and the other half on the wall, seal the curtains to the wall to ensure no light gets through. These two velcro ideas aren’t that great looking, but they do the trick. You can also use double sided tape, if you don’t have any velcro stickers. You can buy the velcro stickers from places like Kmart or Spotlight, for around $5 for a box. Do you have any blackout curtain hacks that work for you? ?